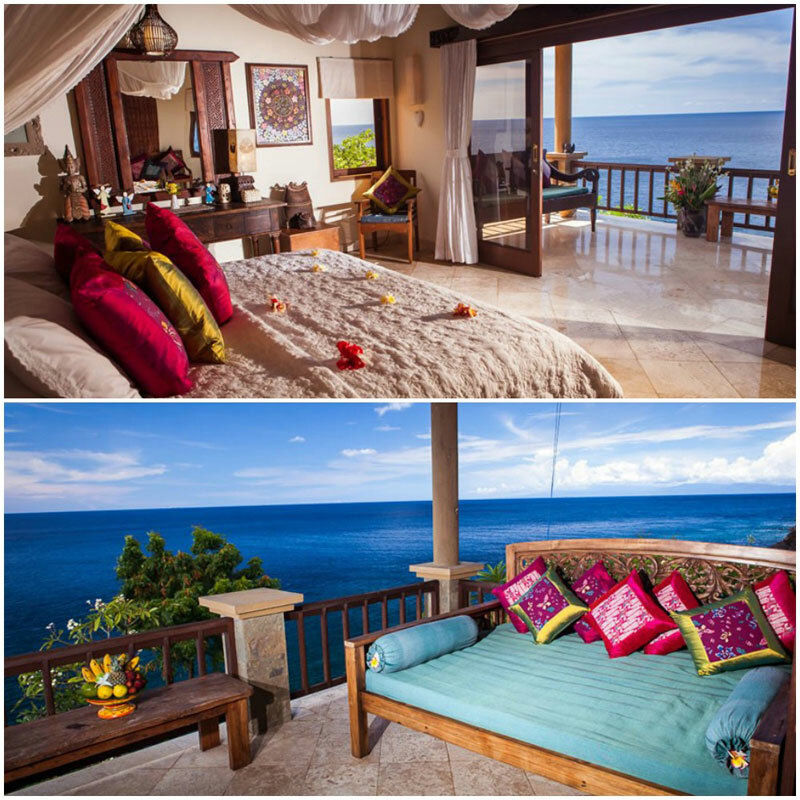 Indonesia > Bali > 9 Luxury penthouse (rooftop) suites in Bali with outstanding ocean views and private pool or jacuzzi! 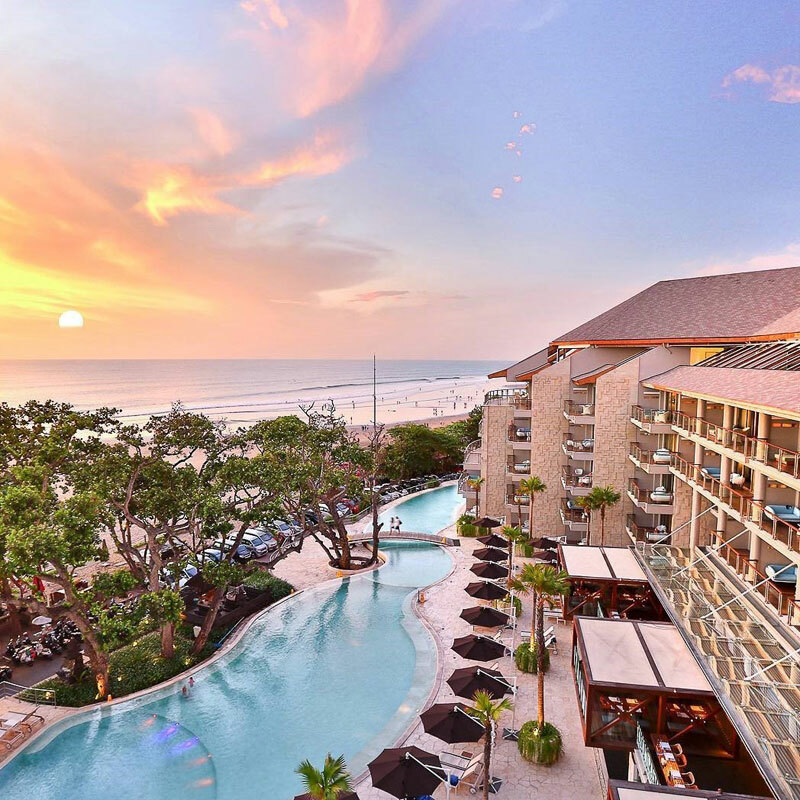 Have you seen Bali’s spectacular sunsets from the beach? 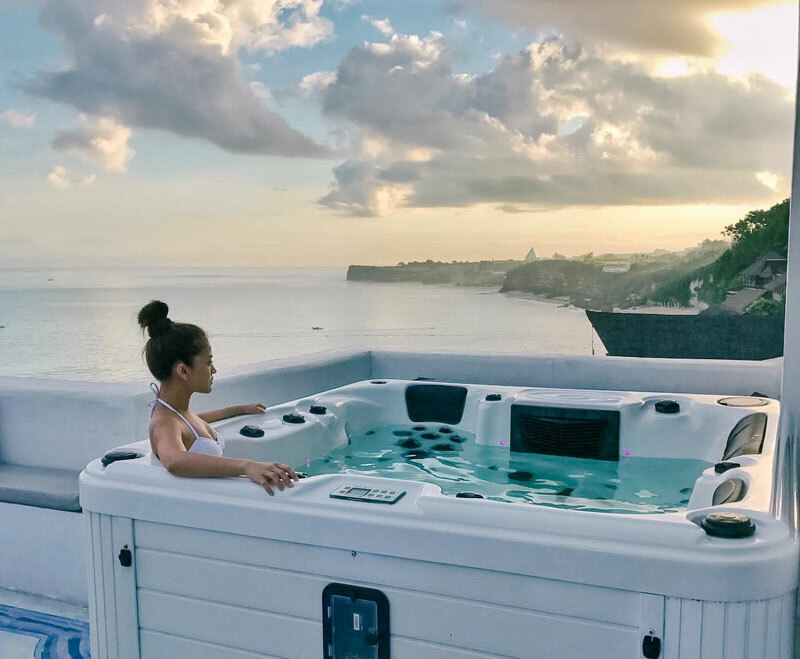 How about taking it up a notch higher (literally) and view the setting sun from a luxury penthouse suite (highest floor of a hotel), while you soak in your private pool or jacuzzi on the rooftop with stunning ocean views right before you? You’ll fall in love with our pick of the most unique and luxurious penthouses that are worth every cent. Take a peek! 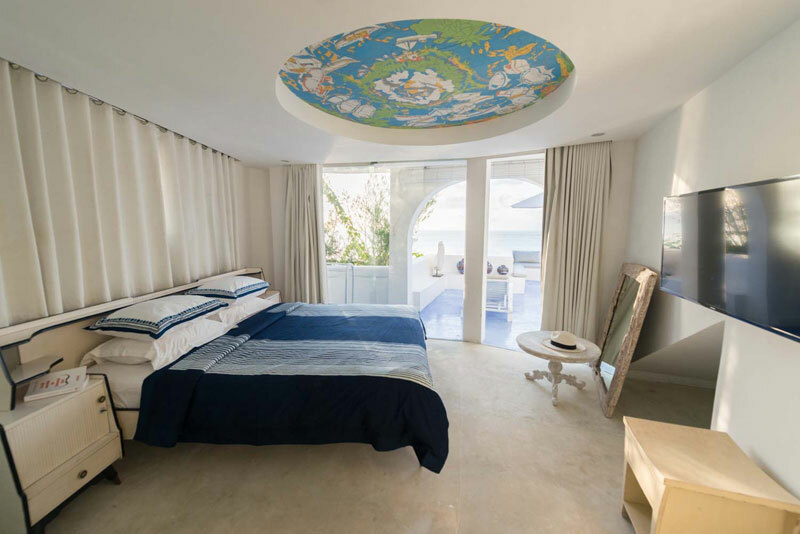 As you enter the master bedroom of this luxurious three-bedroom penthouse, slide the door of the pool deck and you’ll be greeted by a sunlit infinity pool, overlooking panoramic views of the Indian Ocean. 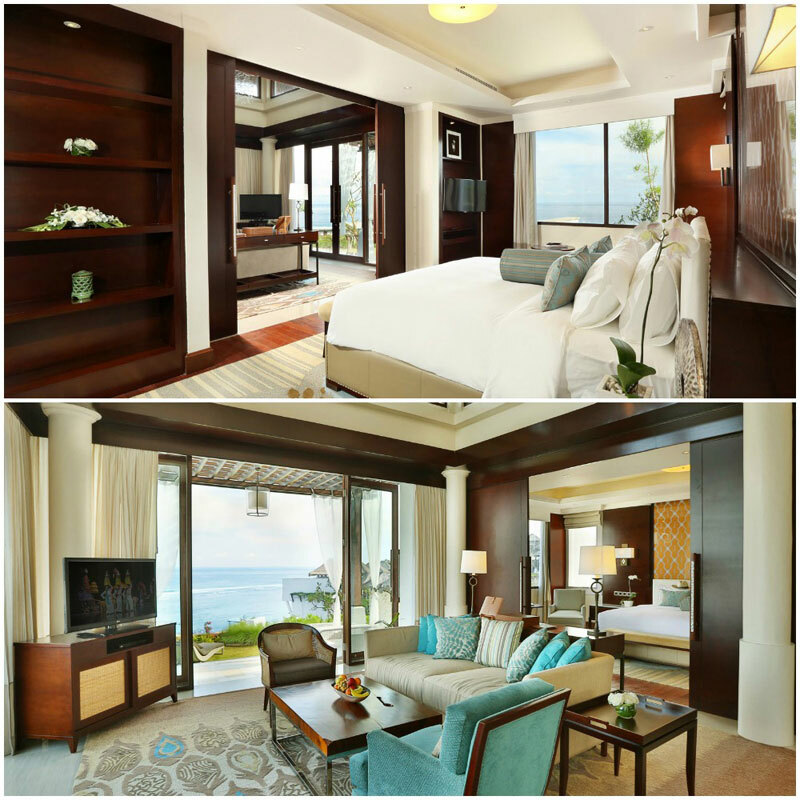 Isn’t this celeb-worthy suite simply the ideal luxury nest for a very special getaway? 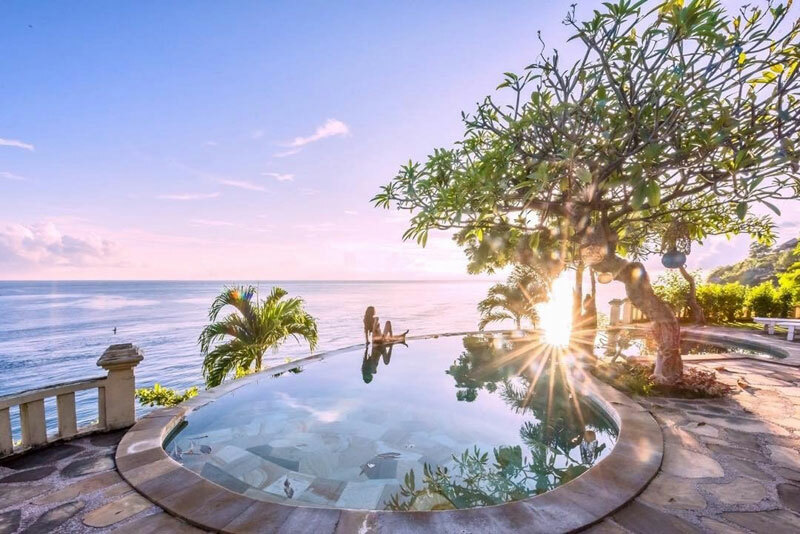 Notice that the arc-shaped pool deck makes the perfect frame for sipping cocktails on lazy afternoon, and we think this is arguably the best feature of the penthouse – COMO Uma Canggu’s latest addition. The penthouse is designed and furnished to please and excite the most fastidious of you – spacious, bright, with nods to both traditional and modern! 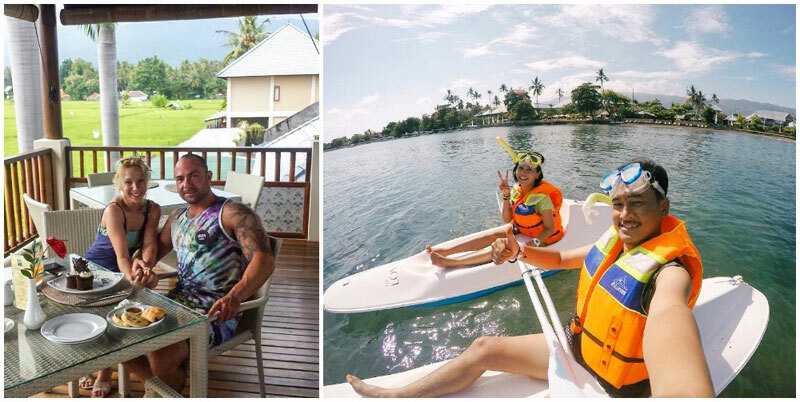 Aside from the usual dining options, the resort features a healthy grab-and-go juice bar- no excuses not to keep up with your New Year’s resolution! Healthy drinks, snacks and salads are all you can find at the Glow Juice Bar. 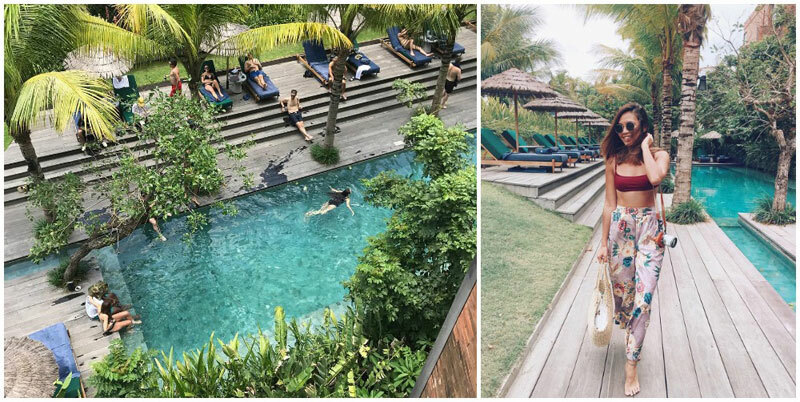 Experiences at the COMO Uma Canggu are endless. 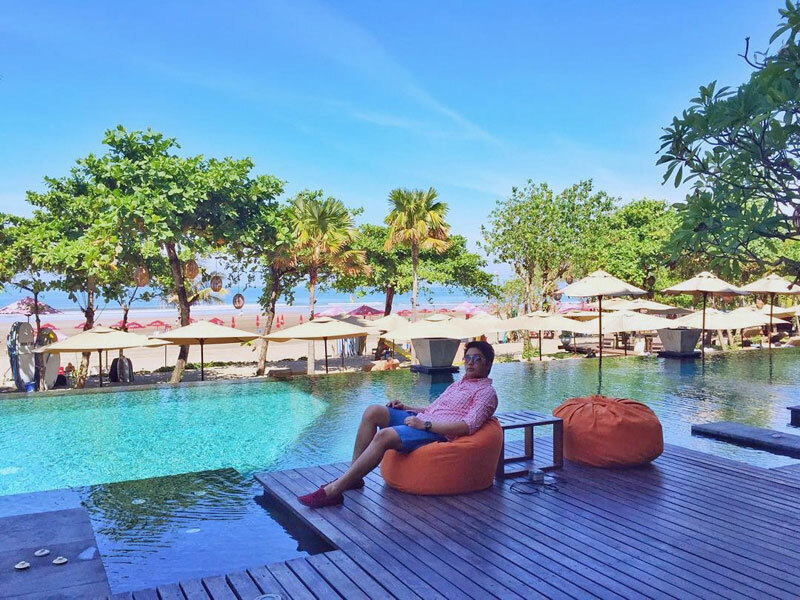 They include surfing classes, golf, tours at nearby attractions but also soothing moments at the resort spa. And when your vacation stay is one that includes services from a private butler, you know it is one to consider! 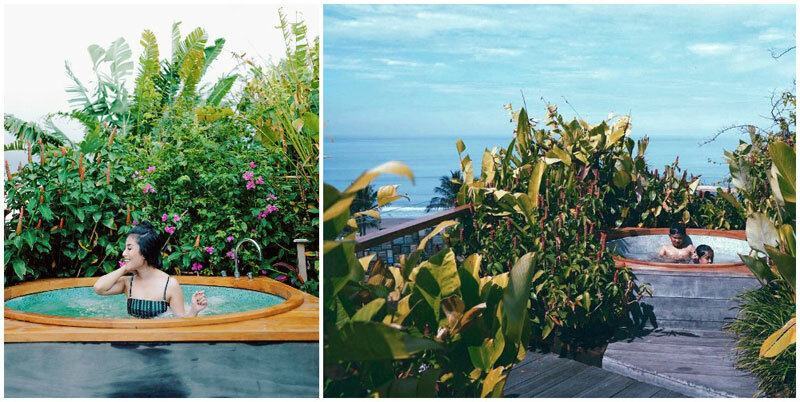 Magic happens when you find a Santorini oasis in Bali, especially when it comes with a private oceanfront jacuzzi on your terrace, where you watch the famed Uluwatu sunset in the horizon over the Indian Ocean. Both of the two bedrooms have killer views of the ocean, and any spot in and around the penthouse guarantees unobstructed views! This place really gets us dreaming – every corner is meant to transport you to the Mediterranean. 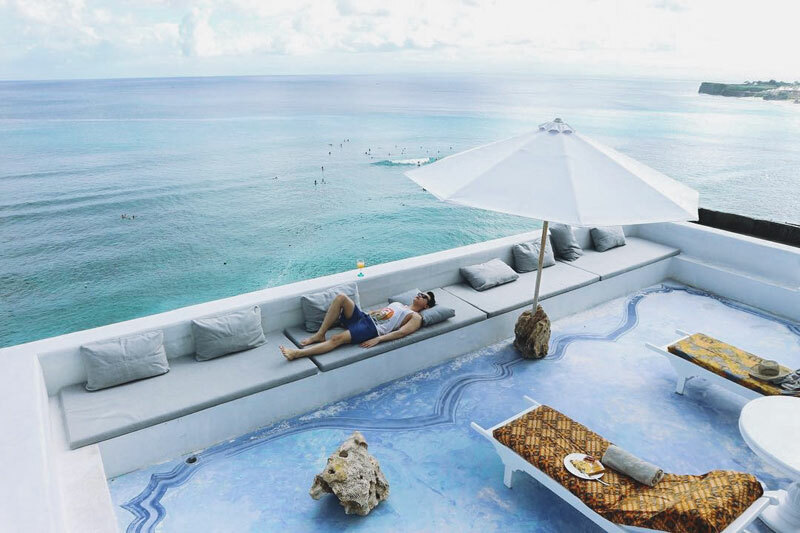 Even the colour palette plays a big role – minimalist décor, fresh white-washed walls with frequent hues of blue, jaw-dropping ocean views from your bed… you’ll almost wonder if you are still in Bali! 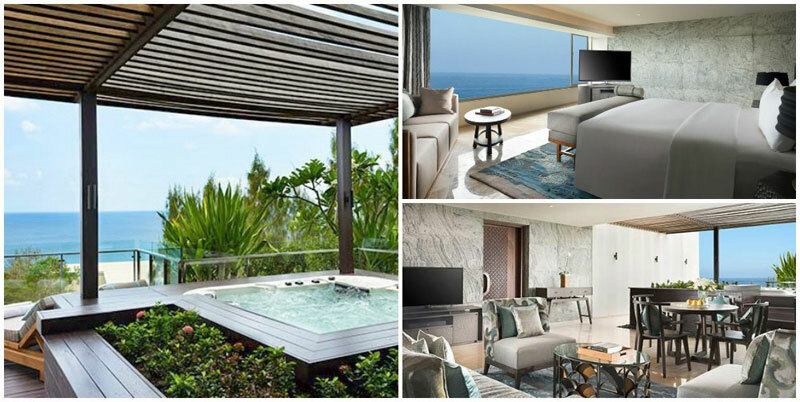 With private jacuzzi, ocean view bedrooms and butler service, is there even a valid reason to leave the comfort of the penthouse? 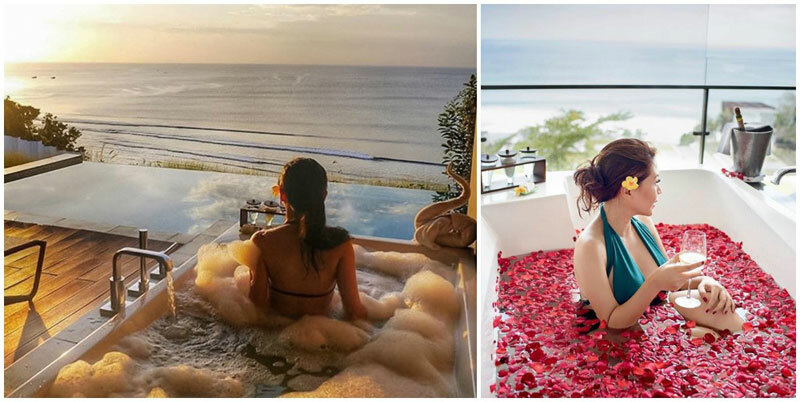 A luxurious soak in a bubbly jacuzzi with magnificent views of the ocean – this is how vacation should look like! Can it get bubblier? 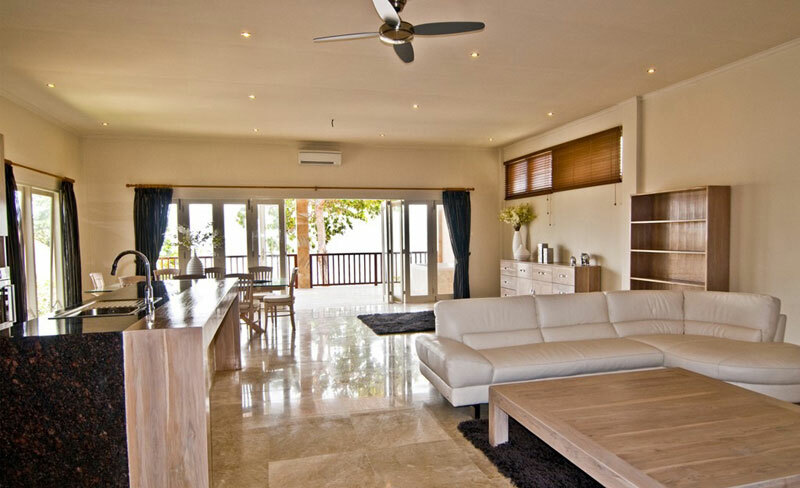 This two-bedroom penthouse at Double-Six Seminyak is ideal for a getaway with family and friends, featuring a shared terrace, a generous sitting area and even a kitchenette (where you can store your ice-cold beers!). 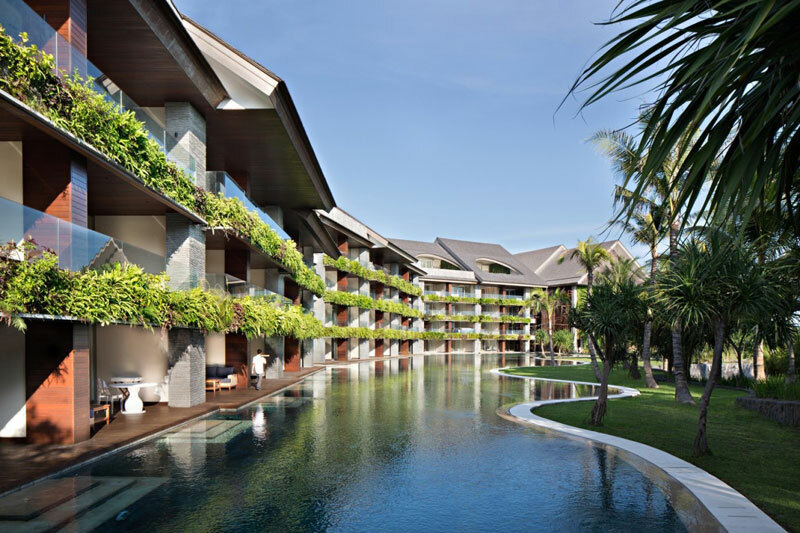 Everything you need is at your fingertips – the luxury hotel sits on the well-known Double-Six Beach in Seminyak, where an array of food options and bars await. Supper? Late-night stroll by the beach? Anytime! 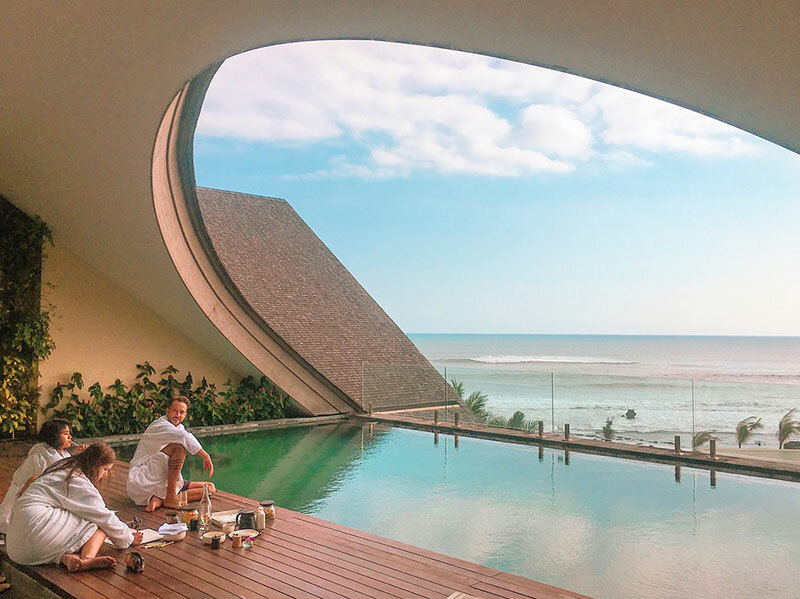 We also can’t keep eyes closed on the on-site Acqua Perla Spa with futuristic interiors – this is where you’ll gladly spend your afternoons at if you simply just feel like chilling. 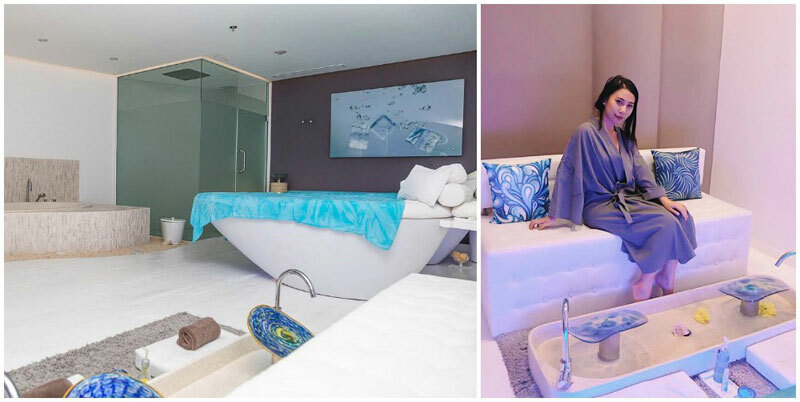 Get ready to don your white robe and slippers to detox with purifying therapies. 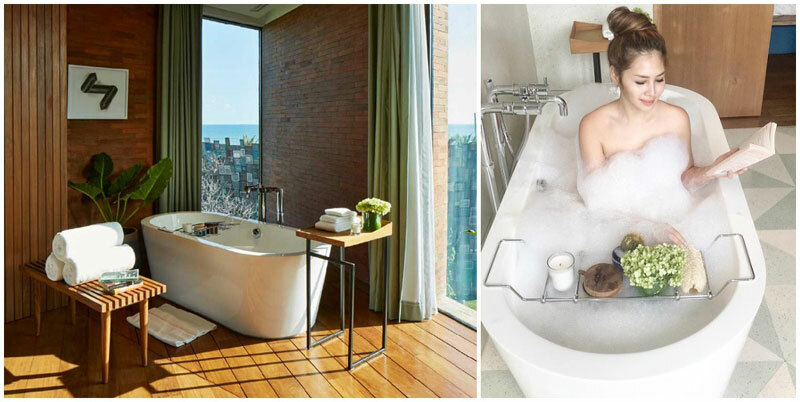 Also waiting for you – lavish bathrooms for ultimate spa-like moments and even a 24-hour personalized e-butler service here for your every whim (and even prior to your stay). 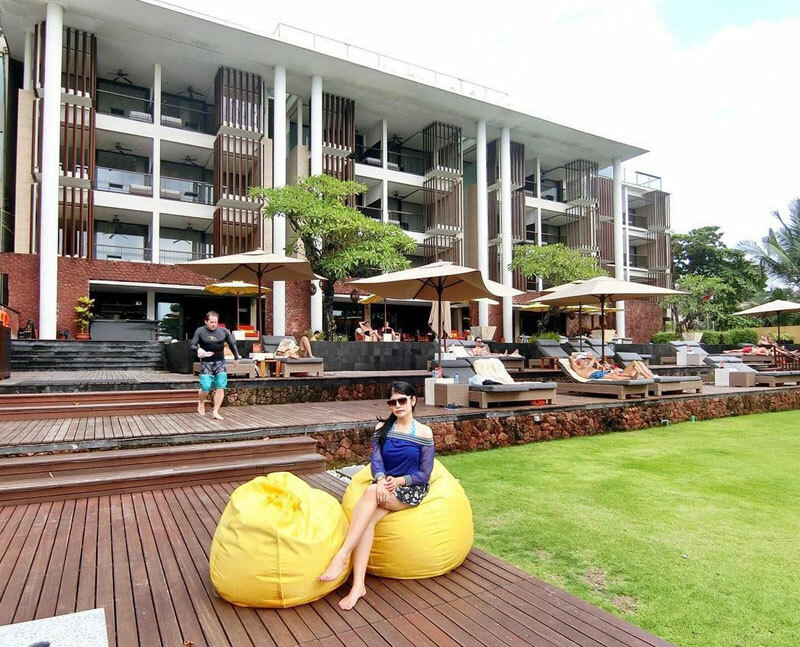 Chic and quiet yet well-located in trendy Seminyak – this is a hard-to-resist! Iconic for sitting on a stretch of white sand beach, outlined by an azure ocean, this property is one of the closest to paradise. 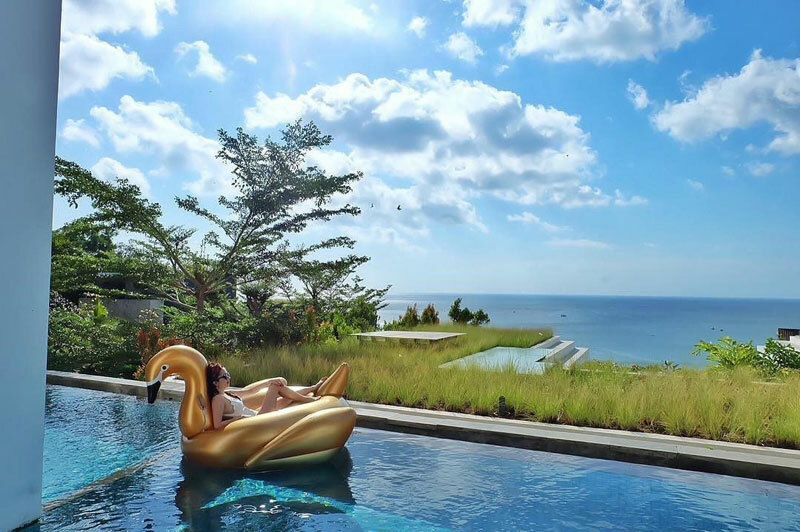 If like us, you yearn for magnificent ocean views and it comes out looking this good while adorned with a private infinity pool, you know the penthouse at Samabe Bali Suites & Villas is definitely a keeper. 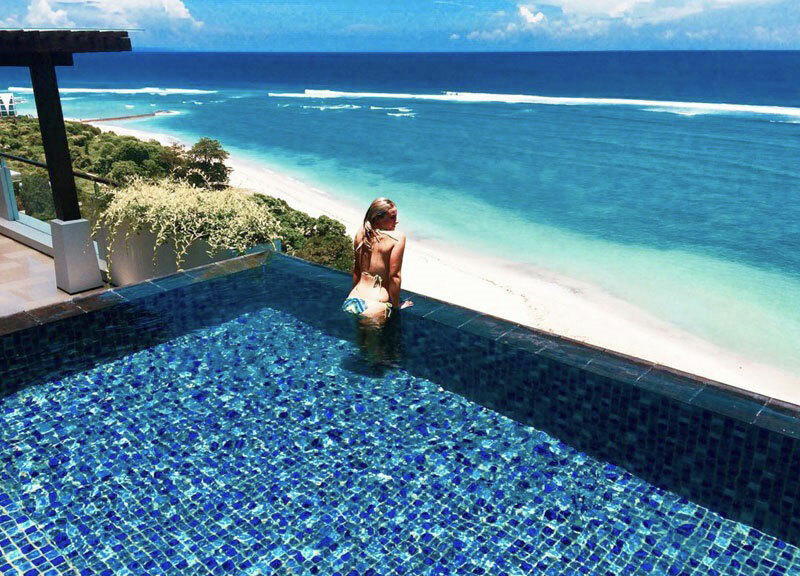 Attention to all beach babes – you’ll be happy to know that collecting tan lines has never been easier; you get to decide between sun loungers, the white sand beach or your lavish private infinity pool (this one is our favorite, but tough choice!). 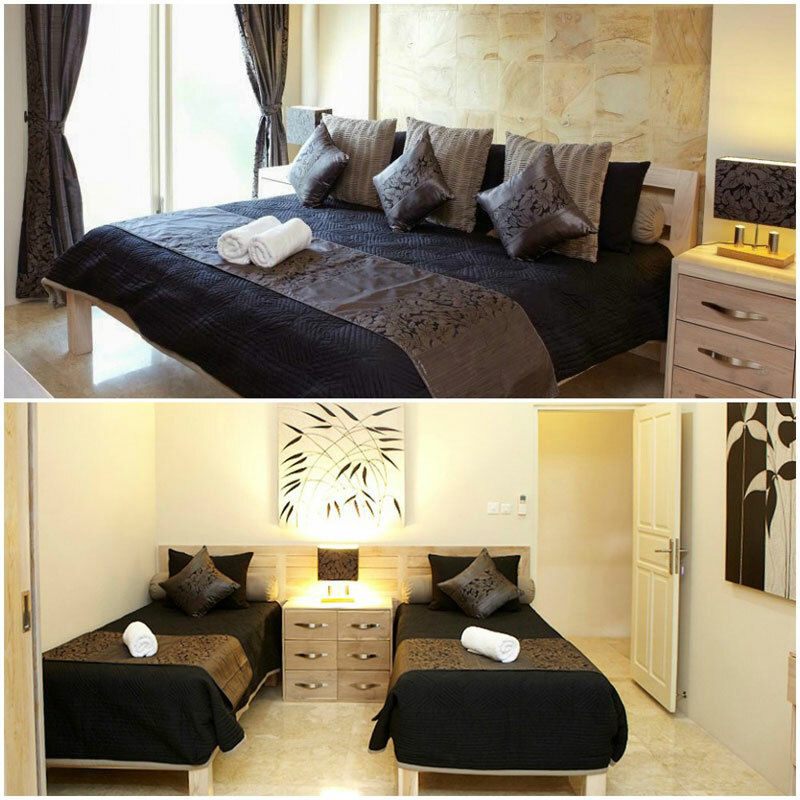 Expansive and stylish yet very homely, the two-bedroom penthouse is ideal for families or friends (or two couples) looking for the simplicity of pure indulgence. 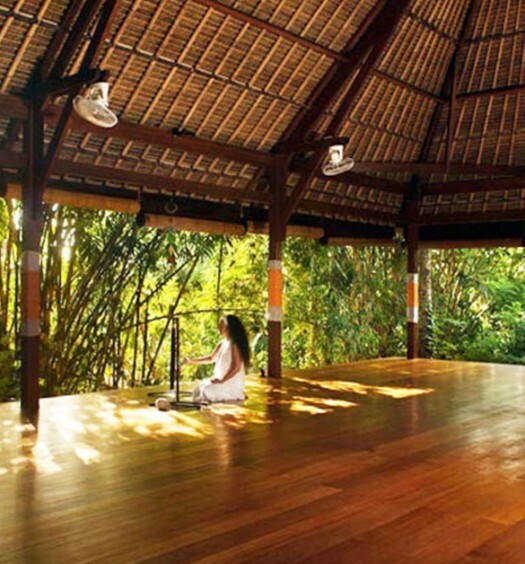 Nomads like us will really get excited about their complimentary beachside yoga sessions. 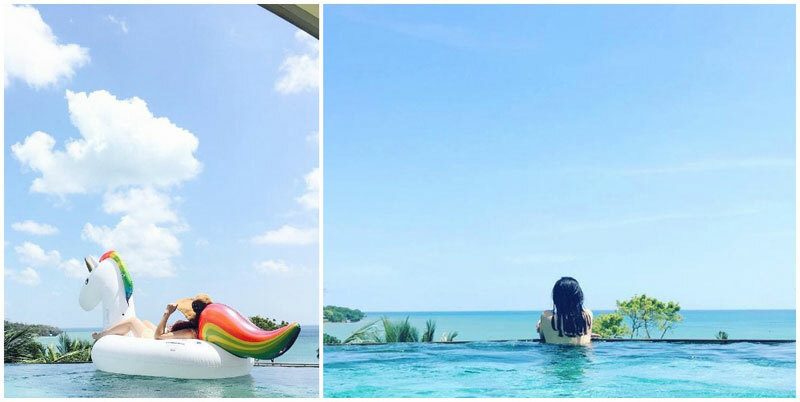 And how about that trendy Instagrammable breakfast in the pool? 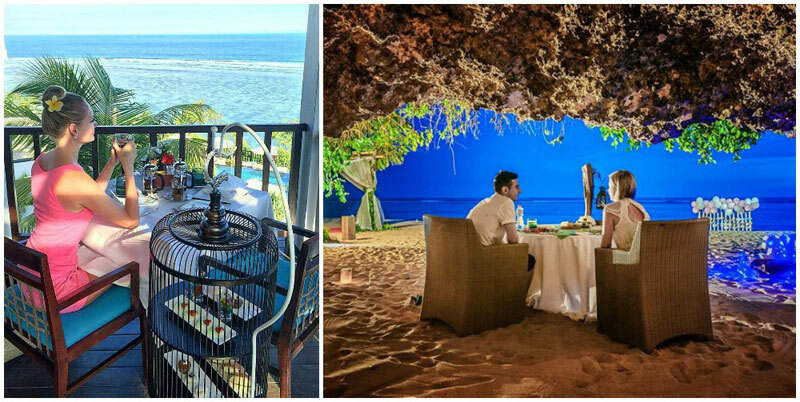 And if you’re planning your big day, the oceanfront glass chapel at Samabe is the perfect place to exchange your vows with the Indian Ocean as your witness. Love at first sight! 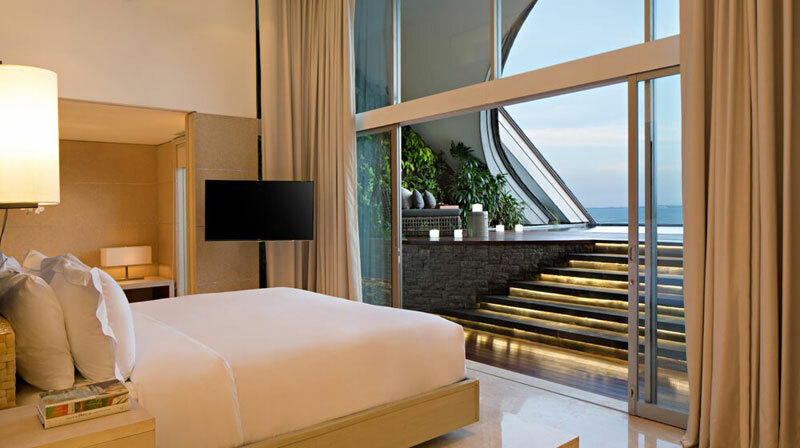 This luxurious penthouse will have you marvelling in awe. 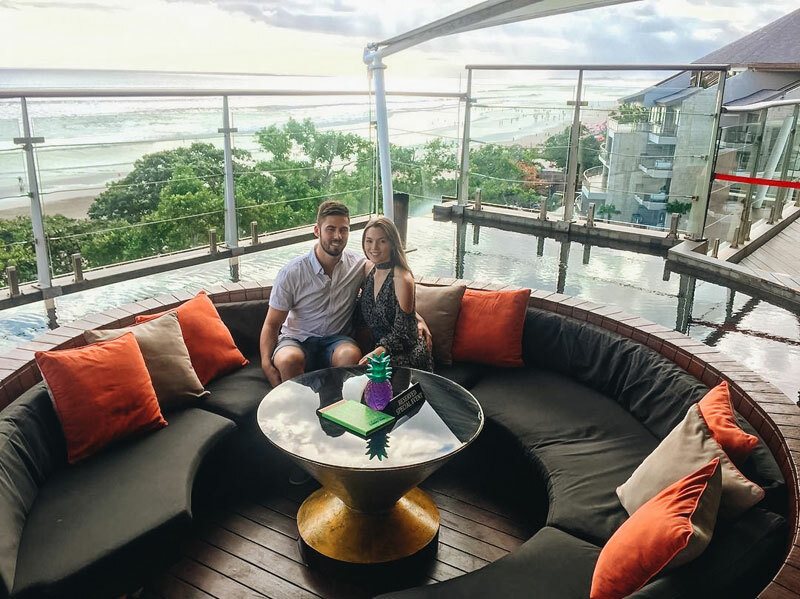 Step into the Katamama Suite and into the very spacious private rooftop garden, which features a dining area large enough for a party of 8 to 10, your own bar area, comfy sofa seats, and even a private jacuzzi that you can soak in while basking in the endless views of the ocean. And yes, all these are private for your own exclusive access! 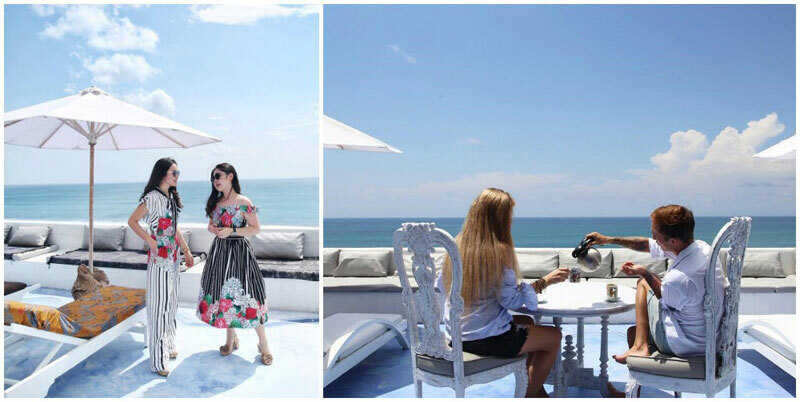 Even when you return indoors and enjoy a soak in your bathtub, or indulge in a good book in the reading corner (perfects spot to get your creative juices flowing), you can still get lovely views of the ocean. In fact, you’ll even have a personal bar station with all the cocktail-making necessities. SO EXTRA! 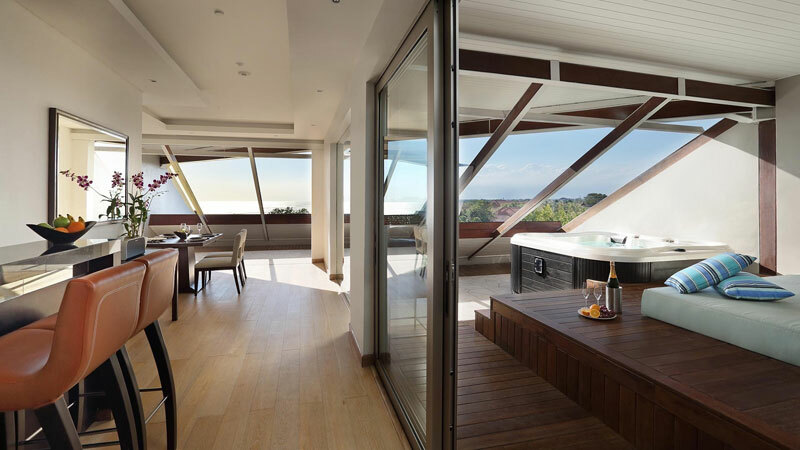 Combining refined luxury with eco-conscious experiences, this one-of-a-kind penthouse features two bedrooms with everything organic – their bed linen, toiletries and even bathrobes are naturally sourced. 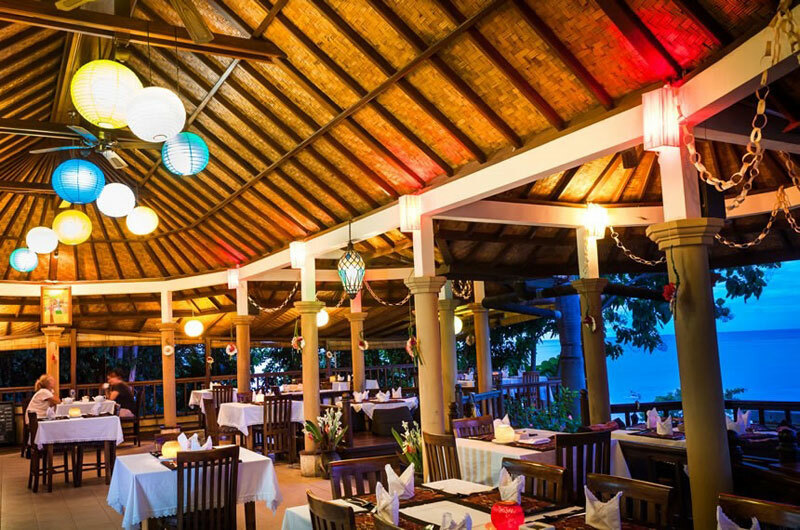 You can choose to dine in your own suite, at the hotel’s restaurants or if you’re up for some partying, the popular Potato Beach Club is just a stone’s throw away. 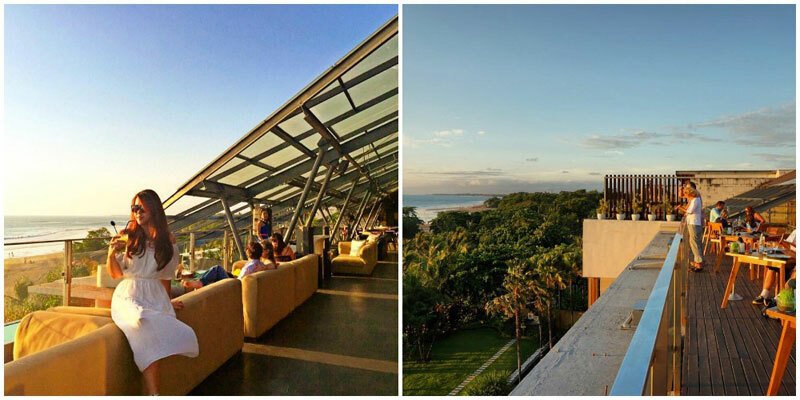 So you can always come down from your little luxury cloud and back to earth in Bali! 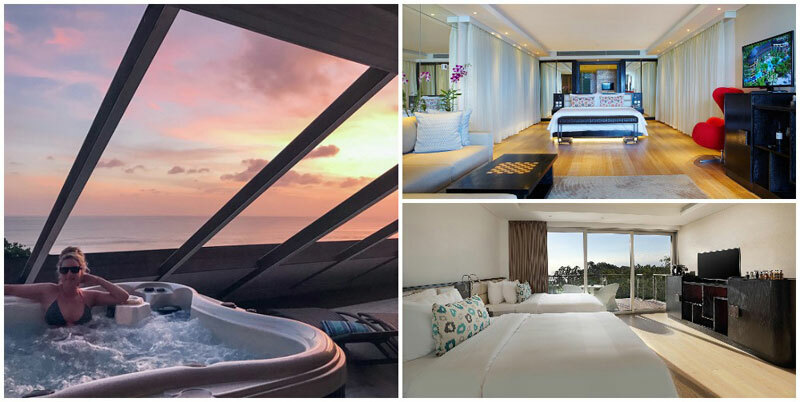 This penthouse is our little piece of treasure – not only does it have a terrazzo bathtub, but also a private pool. Double the pleasure! 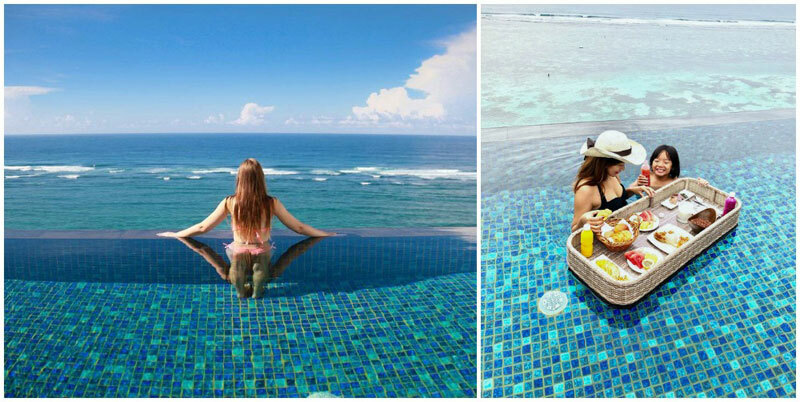 Triple shot when you realise that you can enjoy spectacular ocean views from both! 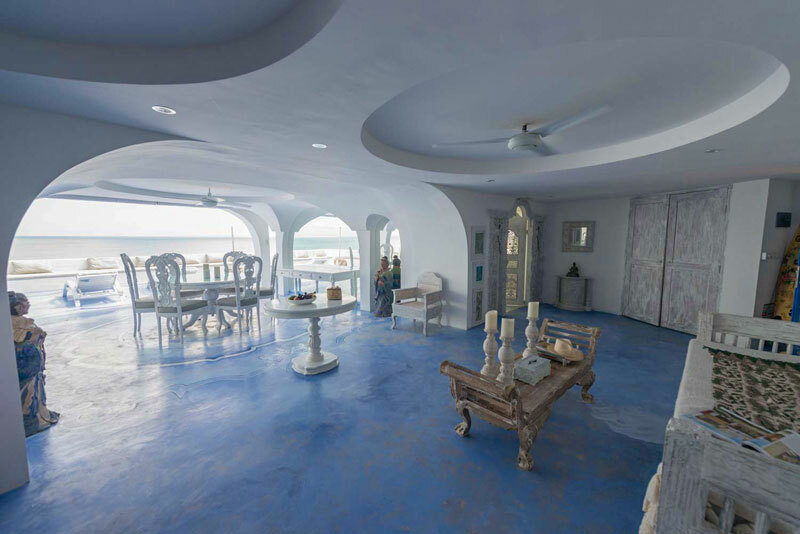 Here, you will find two bedrooms, a fully-equipped private kitchen and an amazing outdoor lounge with an infinity pool that allows you to bask in unobstructed ocean views after your private yoga class. 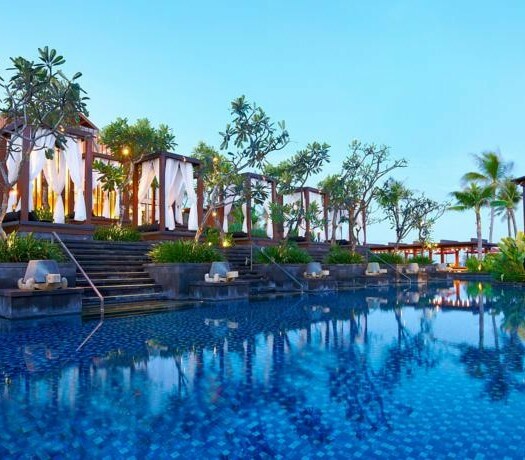 Dining options at Anantara Seminyak are endless, and most of them offer expansive views of the Indian Ocean, especially their MoonLite Kitchen and Bar that treats you with ultimate rooftop dining experiences. P.S. Don’t miss their weekly cocktail party on the beach lawn. They even have a cocktail-making contest on Fridays to bring on some fun! 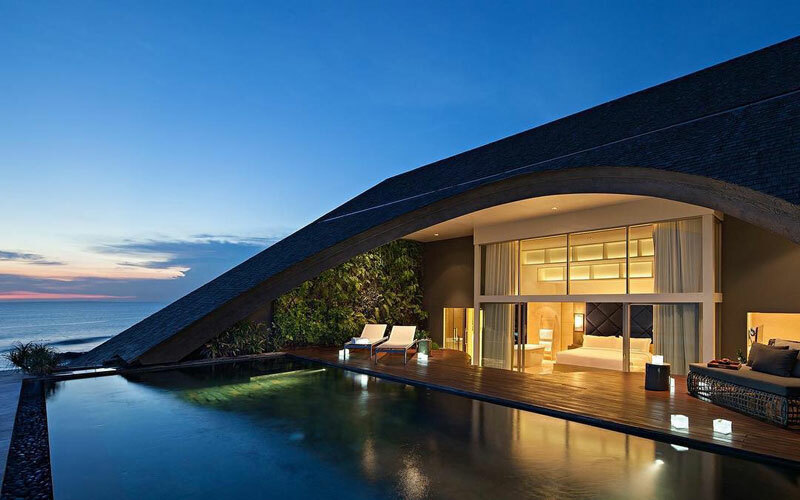 If you can describe this penthouse in one word, it would be… stylish! 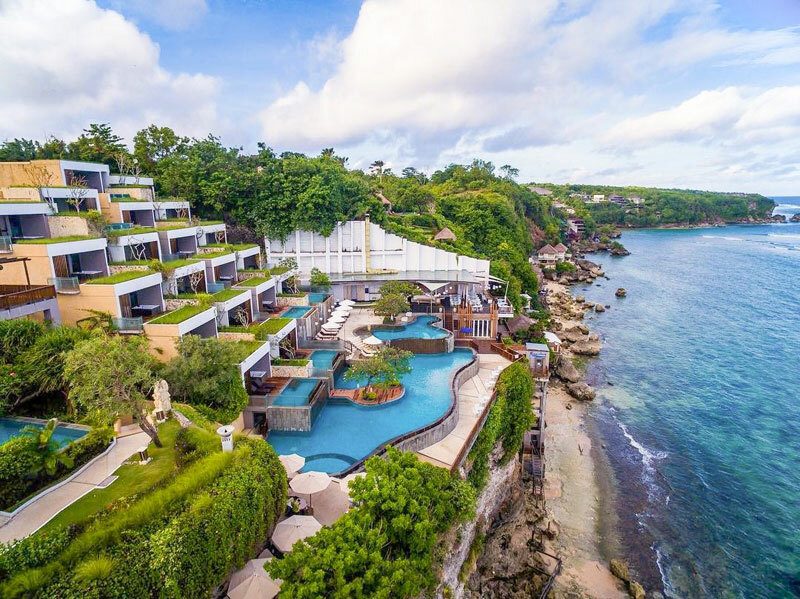 Boasting colours and striking interior designs, Le Meridien’s Aqua Pool Sky Penthouse is ideal for couples on a romantic escape, where you and your lover will be treated to a private plunge pool overlooking magnificent views of Jimbaran Bay in exclusive privacy. 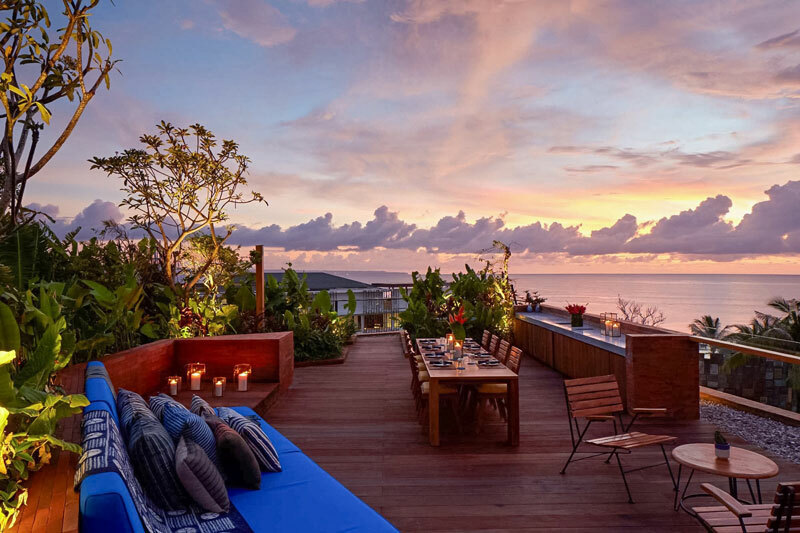 Space is definitely something you’ll miss, because right on the rooftop of your duplex penthouse suite, your large terrace features egg-shaped loungers, an outdoor couch and a dining table that is perfect for a hearty dinner – a seafood feast would match the scene perfectly! The interior is packed with a chock-full of ideas and myriad of tones that might even inspire the design for your next bedroom space! 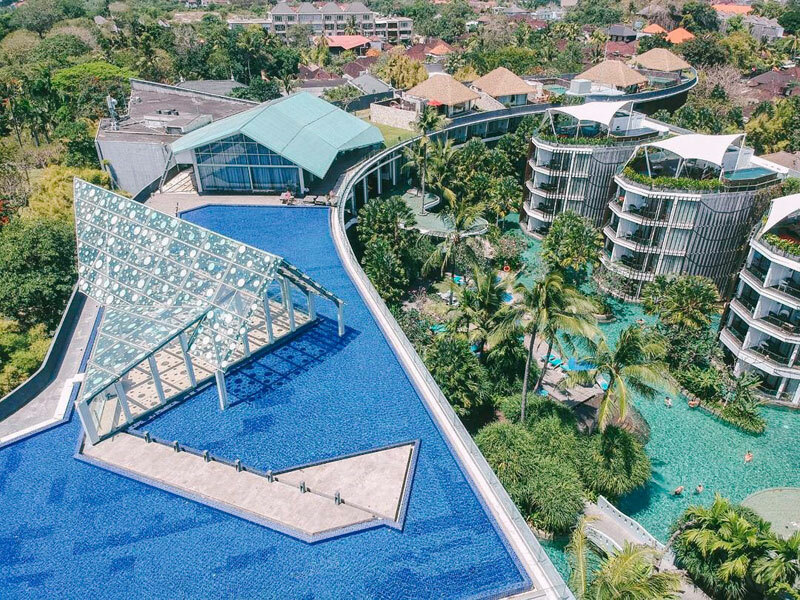 In accordance with the hotel’s policy, the Aqua Pool Sky Penthouse is not suitable for guests below the age of 16 and above 60. 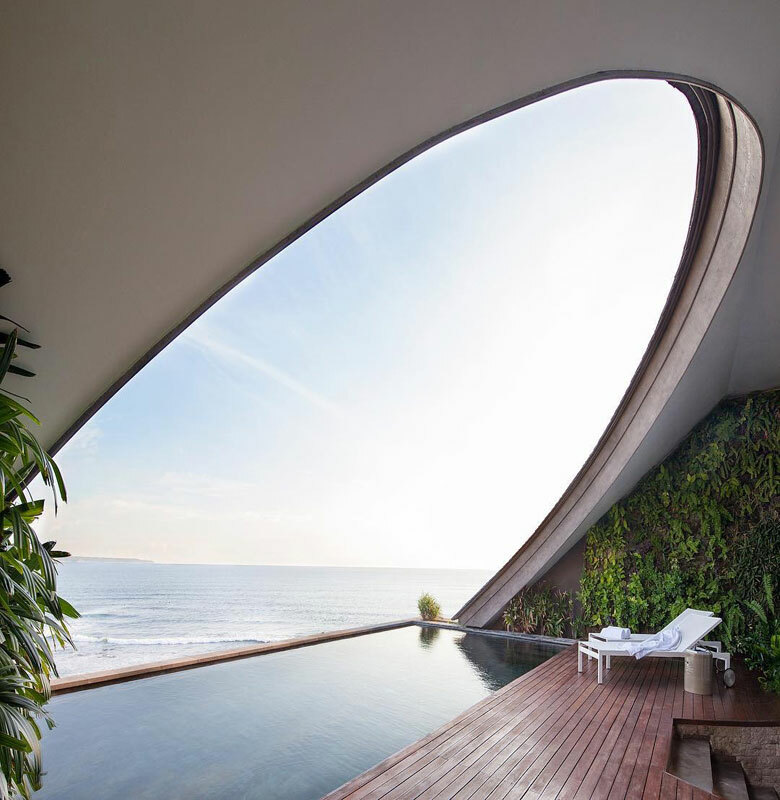 Ocean dreaming has never been simpler at this penthouse. 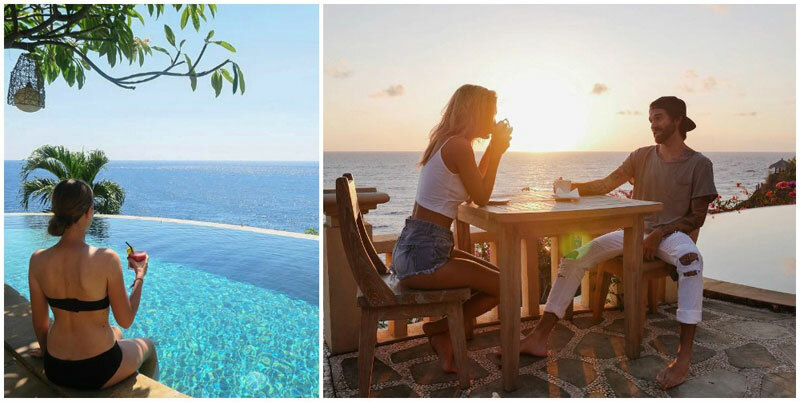 Just envision your sweet mornings – they begin when you open your eyes to endless views of the horizon; fall back asleep and you will still wake up to the same show…how mesmerizing! 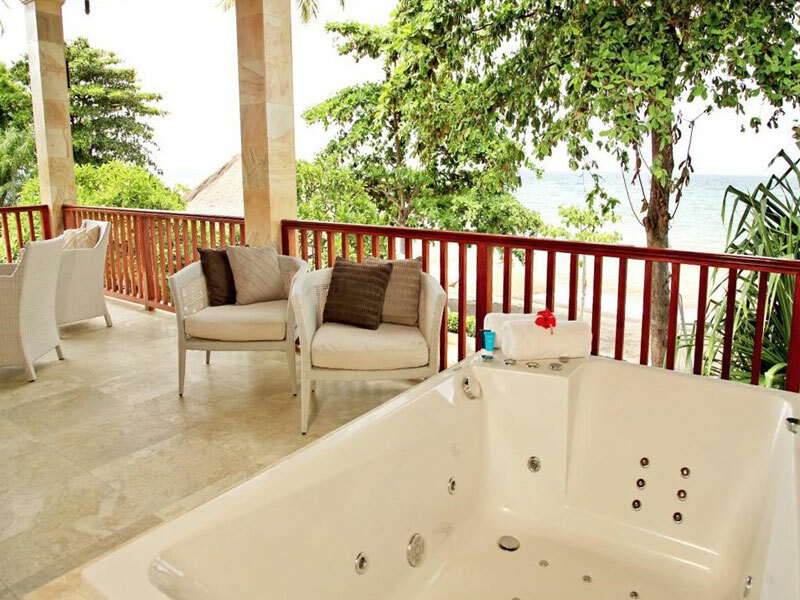 Your bath time at Dedari Penthouse won’t disappoint either, though your private jacuzzi will definitely tempt you more with the dramatic ocean views from the tub. 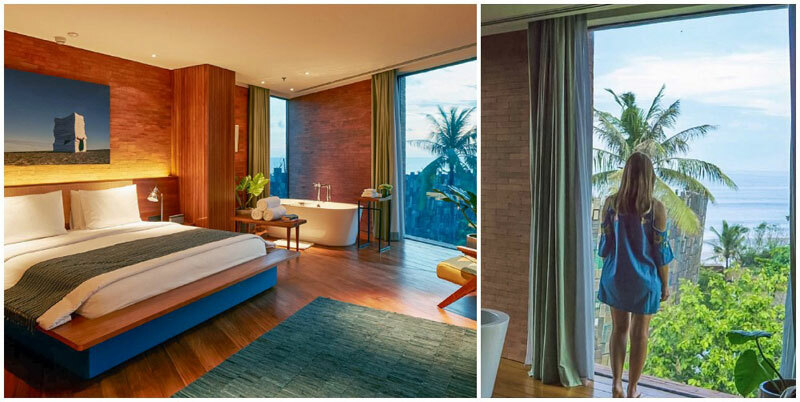 Everything at the penthouse is a constant reminder of pure luxury – calming colours and minimalist designs. And you won’t ever be bored. 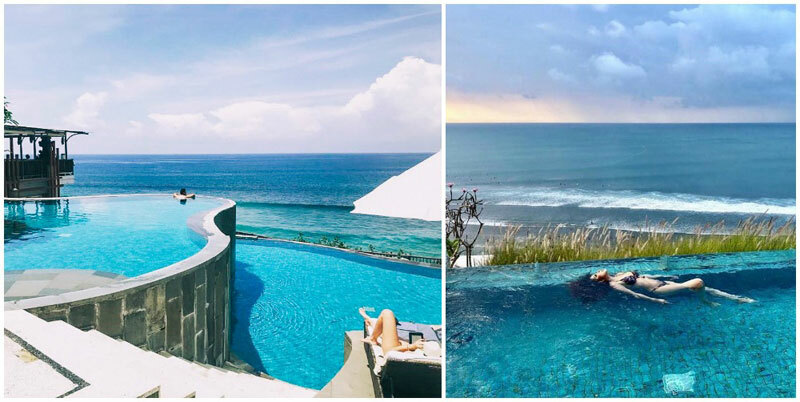 A typical day can be as relaxing as it can be packed full of activities like surfing – you are residing in Uluwatu after all! 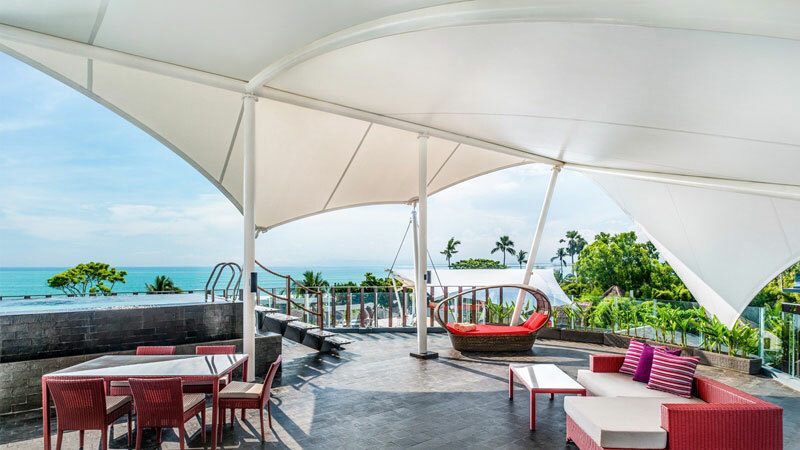 Dinner time calls for tough decisions as the resort flaunts several dining venues but we bet you’ll fall for the one with 180-degree ocean view (360 Restaurant)! 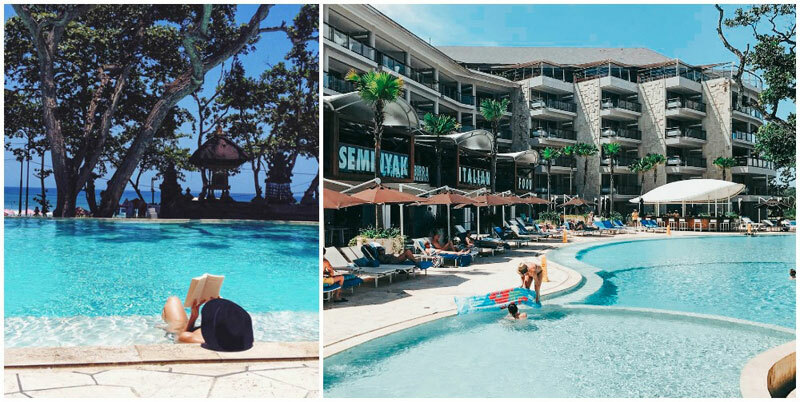 Whether you choose to spend the day in your jacuzzi, at the spa, by the pool or even riding the waves, you can be sure to pack home thousands of memories and bittersweet feelings as you will miss that luxe life! 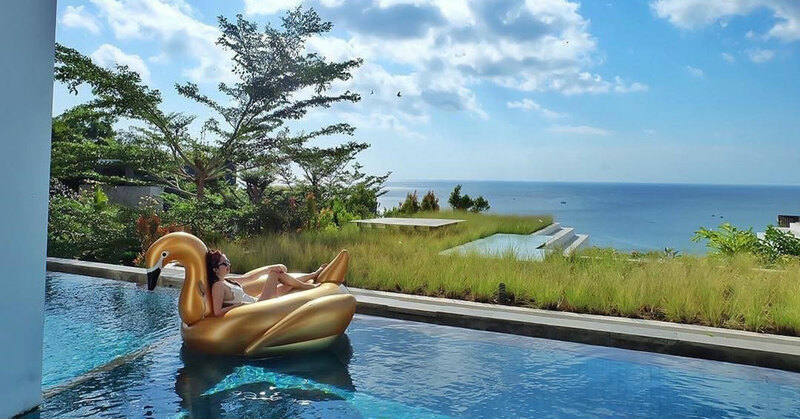 Your beachfront experience at The Lovina brings unrivalled ocean views from anywhere you stand or soak, as your three-bedroom penthouse features a jacuzzi facing the horizon. 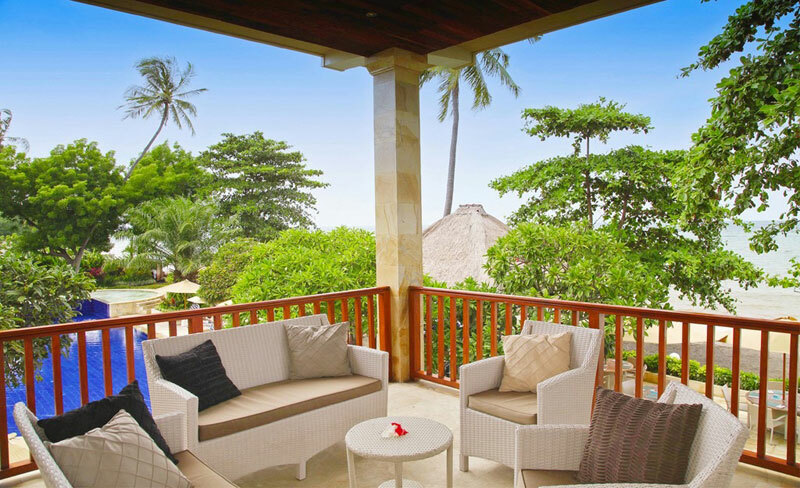 The Penthouse at The Lovina Bali is nothing fancy, but you will agree that with the simplicity of the interiors done just right, and nestled on the secluded north coast of Bali, it is enough to charm any of us! 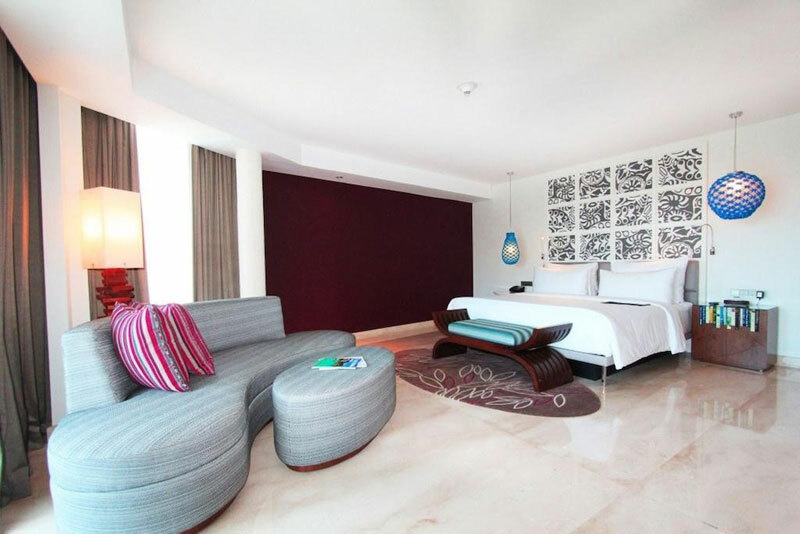 This lovely suite will remind you of a home away from home, just right for families traveling with kids or teenagers. 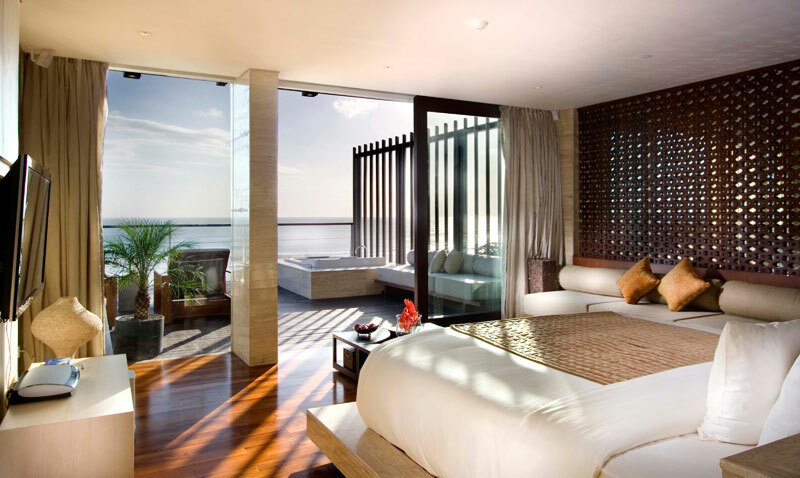 If there is one thing you’ll love during your stay, it’s privacy, and especially so if you choose the penthouse suite. It might even take you a few nights to realise that there are actually other guests in the resort! 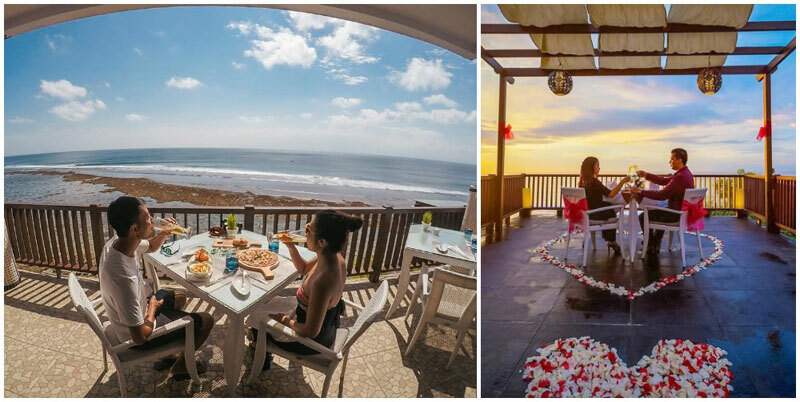 Sweet and attractive and so worth a mention because… you can’t miss the perfect ocean views! 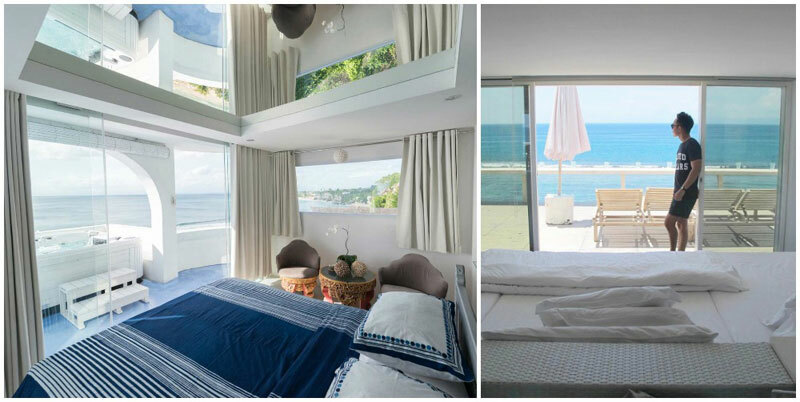 Time to feast your eyes upon amazing lookouts of the sparkling blues, starting from your bed itself, which overlooks the sea and is pretty inviting for a delightful swoosh! 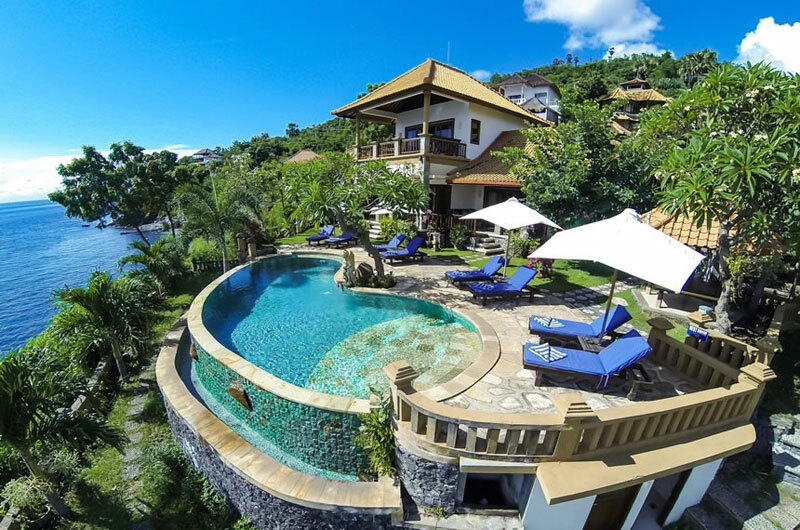 You are also invited to enjoy the infinity pool that is shared with three other villas, though you might even want to skip the whole pool scene altogether with such immaculate ocean views from your balcony! 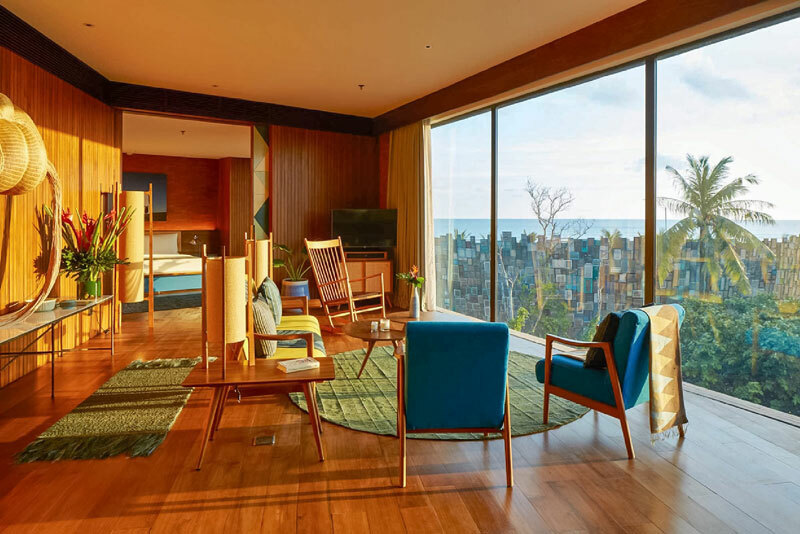 Everything at this one-bedroom penthouse constantly reminds us that we are in Bali – traditional teak furniture blending into the exotic surroundings and hand-carved sculptures inspired by the aesthetic of Balinese temples and its local culture. 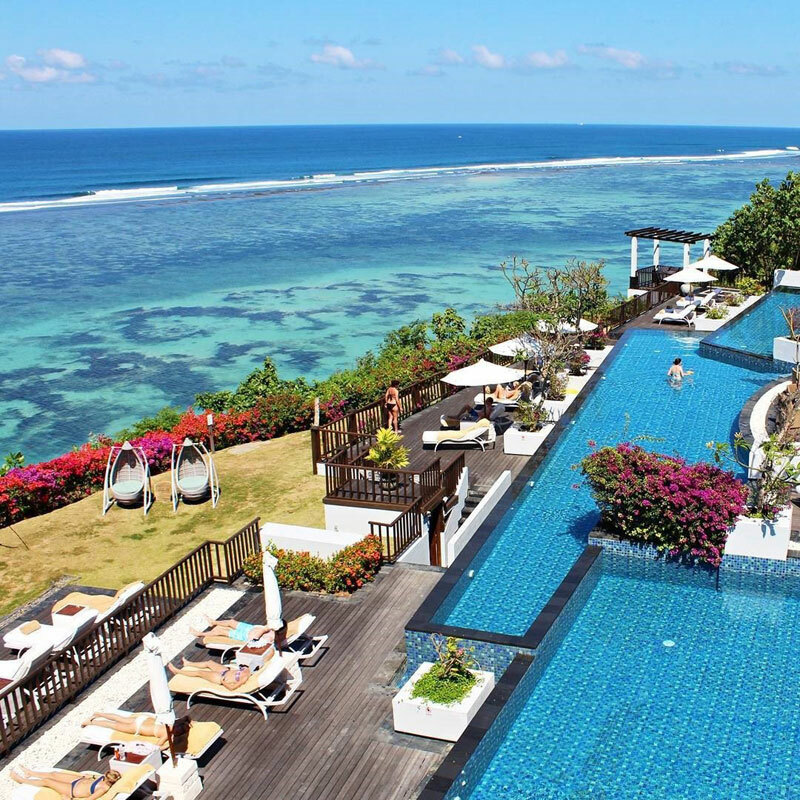 Only two words fit in – Authentic Bali. 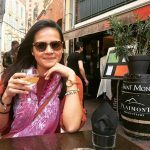 Even the hospitable staff prove that authenticity is indeed their philosophy! 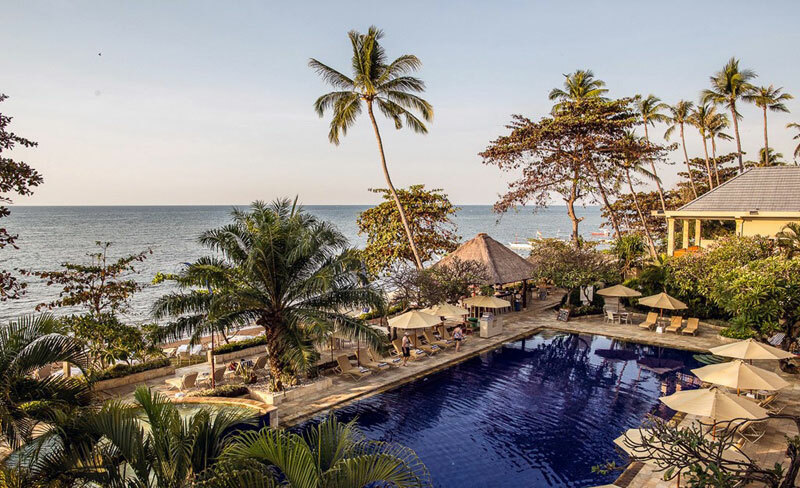 Besides just great ocean views, the property has a popular on-site restaurant – Komang John’s Café, which is treasured for its great seafood options and other traditional Balinese delicacies. So if you don’t wish to laze around comfortably all day, note that diving, snorkeling and trekking are popular activities in Amed, and they will surely keep you busy throughout the day! 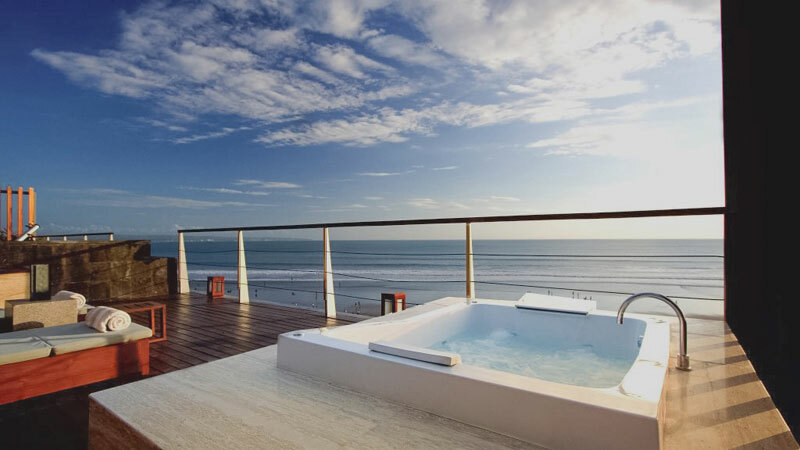 Don’t you want to stay in a penthouse (a luxurious rooftop suite) with such lovely ocean views from your private pool or tub and ultimate privacy with your lover? What features do you love best? Share with us in the comments section below!